Welcome to Brookline Public Schools! The Public Schools of Brookline provide education to PreK through Grade 12 students in eight elementary schools , one comprehensive high school, and three Early Childhood Education sites with vision that guides education in all our schools. 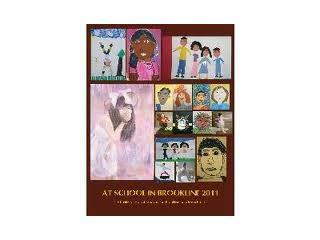 Brookline provides an extraordinary education for every child. Each child’s unique path to achievement is supported in academically exciting and programmatically rich environments. A dynamic, diverse community of teaching professionals works collaboratively, innovating and inspiring each other and their students. Staff gets to know students intellectually, developmentally and culturally. Students are encouraged to question and challenge ideas and participate as active citizens. Schools use a variety of assessments to get the fullest picture of student learning and growth over time. These data are shared regularly with the community, and they form the basis of how we understand and improve student, teacher and administrator performance. Parents are partners with the schools in supporting their children’s education, and schools communicate effectively so that parents are confident of the response to their child’s circumstances and needs. The community, well informed and involved in the schools, supports these efforts that continue a tradition of challenging ourselves to do better, efforts that ensure the enduring value of a Brookline education.